On 27th July 1880 the British 66th Regiment was cut to pieces by Afghans at the Battle of Maiwand: http://www.britishbattles.com/second-afghan-war/maiwand.htm. In 1881 the 66th became the 2nd Battalion, Princess Charlotte of Wales’s (Berkshire Regiment). 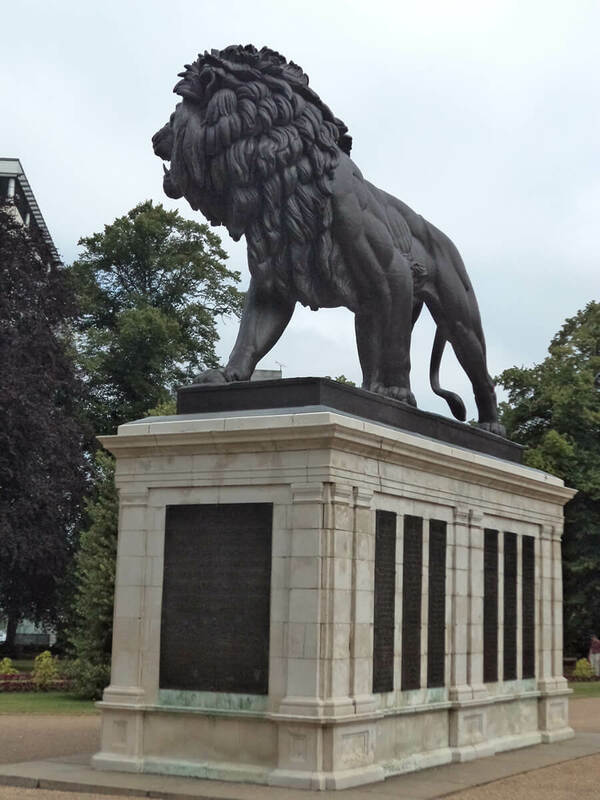 The Lion in Forbury Gardens, Reading, Berkshire, commemorating the losses of the 66th Regiment in Afghanistan during the Second Afghan War, particularly at the Battle of Maiwand, 27th July 1880. 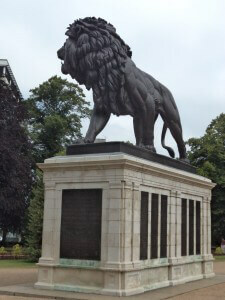 The losses suffered by the 66th in Afghanistan are commemorated by a massive lion on a plinth, carved with the names of the dead, including the commanding officer, situated in Forbury Gardens in Reading, the county town of Berkshire. 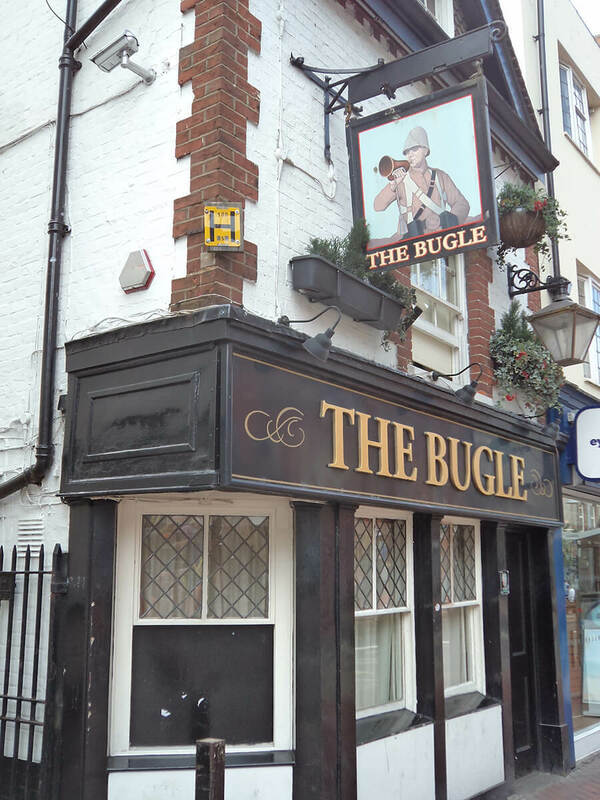 The ‘Bugle’ pub in Reading, Berkshire. The old 66th is also remembered in the ‘Bugle’ pub in Friar Street, Reading. The pub sign shows a bugler of the 66th in the uniform worn by the regiment in Afghanistan in 1880.